Posted on November 11, 2010 by Southampton Soap Co.
Join us this Saturday morning for a FELT WEE FOLK workshop inspired by the artist, Sally Mavor. Using wool felt and other natural materials, we will create beautiful fairies, woodland folks, pirates, mermaids…any sort of little folks you can dream up! Some sewing skills helpful, though a simpler version may be adapted for younger artists. 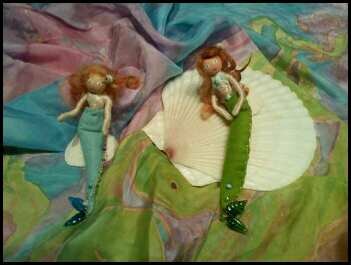 You can see more fairies and wee folk here at Sally Mavor’s website. ***This workshop is also fun for adults to make and give as gifts in little fairy pouches. Please call the studio to register.